John Hurse writes this fine race report about the Osmotherley Trail Half Marathon. In an attempt to add a bit of variety into my training I decided to enter the Osmotherley Trail Half Marathon, part of the Hardmoors Trail Series. Being more interested in time on feet rather than distance, and not really knowing what to expect I thought maybe take it a bit easy, hang around the middle of the pack and aim for two hours to get around. After returning back to the village hall and a short wait I made my way again to the start line with a smaller field of runners for the half marathon, maybe thirty or forty in total. As we set off I found myself in third place which caused me some concern, luckily another runner came through pushing me back into fourth which made me a bit more comfortable although still slightly worried that I may be setting off too fast. Half a mile in we hit the first climb which was a sign of things to come. A small drop down was soon met by another longer climb. Keeping the other runners in view I made my way over the moors taking in some spectacular views. A perfect day for it, clear blue skies with minimum breeze a far cry from the freezing blizzards the organisers had faced a few days earlier when doing a recce of the route. We dropped down again before a mile long climb. Upon reaching the top we then headed down a steep and fast downhill section. On the descent I began to catch up with and then pass the guy in third place. Over undulating and changing terrain we came to the next hill, another long slow 1.5 mile climb. The leader passed me on his way back down so I knew I just had to keep pushing a few more minutes to get to the top and get some good downhill and a bit of recovery. I made some good progress on the way back down, catching and overtaking to move into second place on a tricky technical section of the downhill. Back on more undulating terrain I was soon returned to third place. We hit another short steep climb, thighs burning I tried to keep in touch with the runner in front. Whatever uphill is made of, my legs had run out of it. The runner I had previously passed had gradually worked his way back and retook third place on the climb and soon after second. We reached a marshal who pointed us towards the next hill mentioning that there were three miles to go and it was all downhill from the top. Unfortunately upon reaching the top of the initial steep climb it revealed another 1.5 mile slow uphill that would need to be tackled before thoughts of the finish could be considered, the other two runners now putting some distance between us. Reaching the top I was gasping for air, legs burning and finding it difficult to control my feet on uneven ground. Finally dropping back down from track onto road I saw a piece of ribbon (used to mark the course) tied to a post on my left and turned to follow the road to the finish. Half a mile along the road (and after passing through 14 miles on the Garmin) I was lucky that the race director happened to drive past and inform me I was heading in the wrong direction. I made a u-turn and headed back hoping that my detour had not cost me another place. Luckily it didn’t and I reached the finishing table in 2hr 10m still in fourth position. So it turns out I got the time on my feet I was looking for (plus a bit extra) and by no means was it an easy run out. A very enjoyable race, I’m looking forward to getting out on some more trails. Oh John, you had me in suspenders wondering whether you were going to finish in the Top 3. But nevertheless, still a fine performance to finish in 4th place and a great read. Well done. John ‘I train like an animal and if I train much harder I’ll end up in a hearse’ Hurse… 3 races in one weekend= Well bloody done! Sounds like an adventure! Awesome work finishing in fourth, well done mate! Well done john, sounds like a pretty challenging course. Fantastic run. Great stuff JH, although I’m still a bit confused as to what happened at the start! An exciting report John. The most amazing thing is that you turn up at a club session a few days later and you are as fresh as ever! Tell us your secrets of super-human recovery. 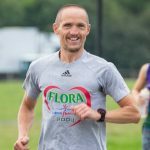 JT – I initially set off in the marathon race. I would’ve been in trouble (well, more trouble) getting to 13.1m and finding I had another half m to go. Si – if you ever find hurse dna in your food you need to worry (guaranteed no Phenylbutazone on the plus side).